The Ministry of Health Brunei Darussalam wish to update the public with regards to the recent mass media reports by the Republic of Singapore regarding 41 locally-transmitted cases of Zika virus, as confirmed by the Ministry of Health Republic of Singapore. The Ministry of Health Republic of Singapore also reported that 34 of these cases have fully recovered (information obtained from joint press release by the Ministry of Health Singapore and National Environment Agency Singapore, 28 August 2016). Other affected countries with reported widespread transmission of Zika virus come mainly from Latin America and the Caribbean.Alhamdullilah, thus far, there have been no reported cases of Zika Virus infections in Brunei Darussalam. 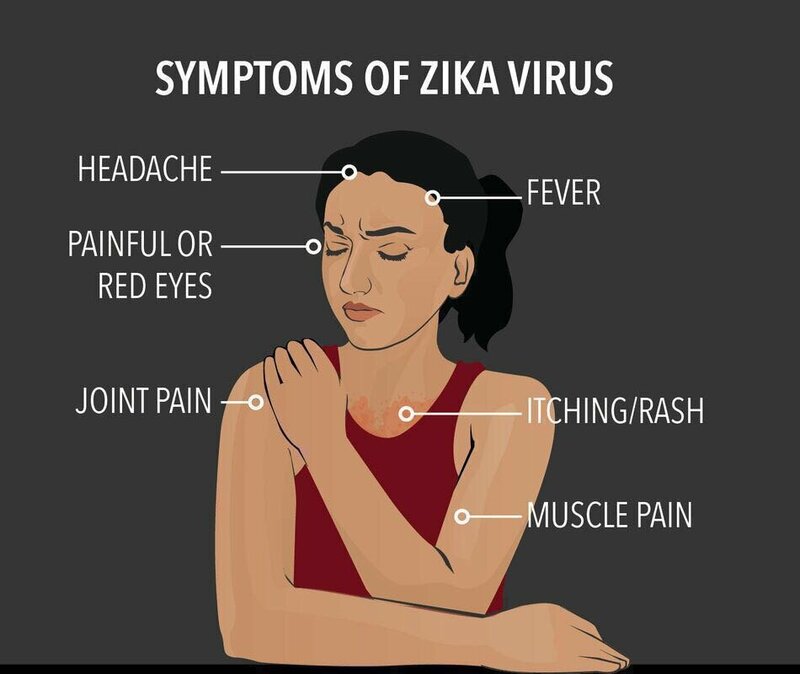 Zika Virus infection is caused by a virus carried by the mosquito Aedes Aegypti, similar to dengue fever and chikungunya. The Aedes mosquito is routinely identified in tropical countries including Brunei Darussalam. 1. Most cases of Zika Virus infections do not show any signs or symptoms. However, a small percentage of patients may experience symptoms such as fever, muscle pain, joint pain, headache, conjunctivitis (red eye) and rash. The infection may also be associated with neurological symptoms and microcephaly in newborns. 2. 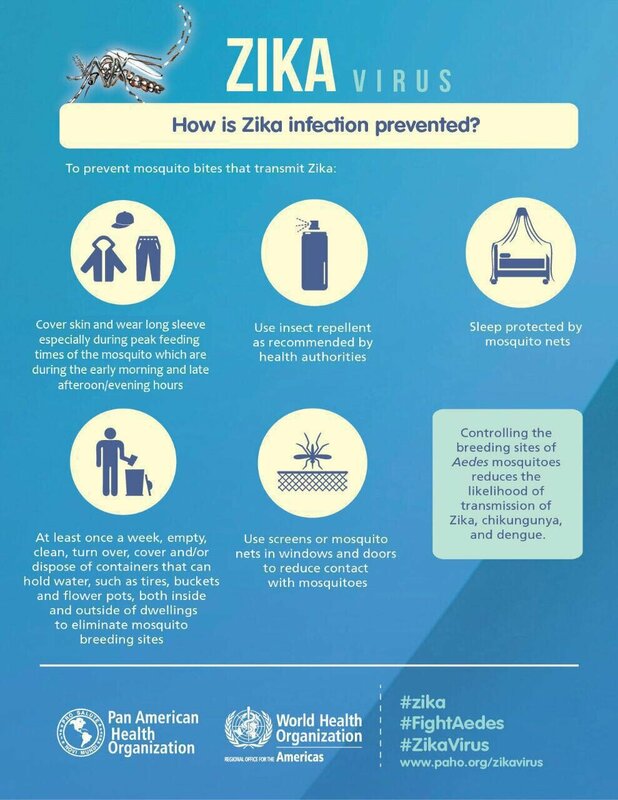 There is no specific treatment or vaccine for Zika Virus infection. Treatment is focused on supportive care for the alleviation of symptoms when deemed necessary. 3. The Zika Virus belongs to the Flavivirus genus in the Flaviviridae family. It is transmitted from infected to healthy individuals through the bite of the Aedes mosquito. Additionally, there is a small risk of transmission through sexual contact. 4. Entomological (insect) surveillance has indicated the presence of a native population of Aedes mosquito in Brunei Darussalam. This species of mosquito often breed in containers that can hold water such as empty tins, drip-trays for flower pots, old tyres and rubbish left strewn about. It has been found that the breeding of these mosquitoes will increase many-fold after a rainy season. Typically, they are most active in the early morning and late afternoon. 5. The Ministry of Health continues to implement measures for monitoring, prevention and control, including conducting entomological surveillance and vector control. Given the ongoing situation in Singapore and the extensive travel between Singapore and Brunei Darussalam, there is a small risk of importation of the virus through an infected individual into the country. Brunei Darussalam’s preparedness to manage imported cases of Zika virus is based on strengthening our capacity to prevent cases, detect cases early and control transmission to prevent an outbreak. This is aligned with the core principles of the International Health Regulations (IHR 2005). Ongoing risk assessment of the emerging situation continues and clear guidelines are in place to ensure that we are prepared to handle introduction of the virus. Destroying places where mosquitoes breed and to spend about 10-30 minutes, at least once a week, checking your residence or building, to ensure that the surroundings are free from places where mosquitoes can breed. Ensure that all drains are clean, functioning properly and not blocked. Ensure that all rubbish are disposed of properly and there are none left over that can collect and hold water. Wear long-sleeved clothing and long trousers and avoid wearing dark coloured clothing as dark colours will attract mosquitoes. Use insecticide sprays, mosquito coils or electronic mosquito repellant. Use insect repellant especially for outdoor activities as needed. 7. In addition, travellers to affected countries, especially pregnant women, are advised to take all precautionary measures such as described above. 8. At this time, the World Health Organisation (WHO) do not advice any travel or trade restrictions with the affected countries, or any screening or isolation of travelers at points of entry. It is however, important that individuals who have visited affected countries or are travelling from the affected countries, who subsequently develop symptoms, are advised to get assessed at the nearest health facility. 9. The Ministry of Health will continue to monitor evolving events in collaboration with the World Health Organization (WHO) and will implement any necessary measures, including informing the public of any further developments. For further information questions on the Zika virus and mosquito-borne diseases, the public can visit the Ministry of Health website at www.moh.gov.bn or call Talian Darussalam 123. Previous post: Fancy a Teochew Mooncake?